A LOWER road toll, quicker commute times and a boost to the Gympie economy. These are the guarantees confirmed by federal member for Wide Bay Llew O'Brien yesterday when he opened Section C of the Bruce Highway. Works on the much anticipated 10.5km section of duplicated highway were completed earlier than expected, with the stretch of road to be open to traffic early next week. 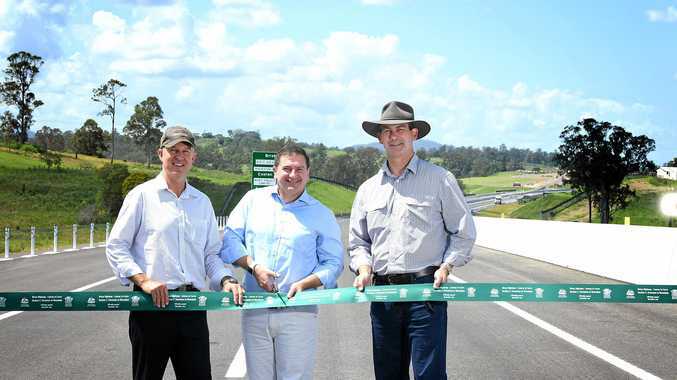 The $384.2million project formed part of the Cooroy to Curra upgrade, which in turn makes up the $8.5billion 10-year Bruce Highway Upgrade Program. Mr O'Brien expects the new stretch of highway to "dramatically improve road safety". "The new road is going to save lives, and it is great to see motorists already moving on to it well ahead of schedule," he said. While the construction of sections A, B and C had caused some inconvenience, the end result was a much safer, quality, high-speed and high-capacity four-lane road that connects our region to Brisbane and beyond, Mr O'Brien said. Addressing concerns the highway bypass of Gympie will impact negatively on the local economy, Gympie Mayor Mick Curran said the community was already starting to see the benefits. "If you have a look at the latest results and figures tabled at council meetings, we are seeing extraordinary house numbers being constructed," Cr Curran said. "We are seeing the valuations of land increasing. "We are seeing our population growing at just on 1.2per cent. "There are arguments for and against a bypass around Gympie, but the reality is Gympie Regional Council at the moment is increasing the liveability of the city." Mr O'Brien said Gympie was now perfectly placed from Brisbane and the Sunshine Coast. "This road is going to service 17,000 people per day," he said. "The intersection at Monkland St is already servicing about 25,000 vehicles per day. "That is increasing at about 3per cent and heavy vehicles are increasing above that. "Any major upgrade through town would have a massive social impact. 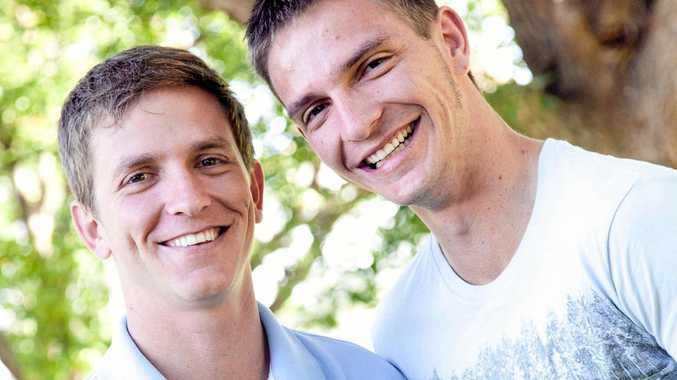 "The obvious thing to do is create a ring road around Gympie. Gympie is going forward and this road will only enhance it." Funding is yet to be secured for Section D, but Mr O'Brien said he believes an announcement will be made on costing and design within "the next couple of months".